Are you a BIG coffee lover? If so, you’re not alone. (85% of adults in America sip the inky brew, making it the mainstream morning beverage of choice). 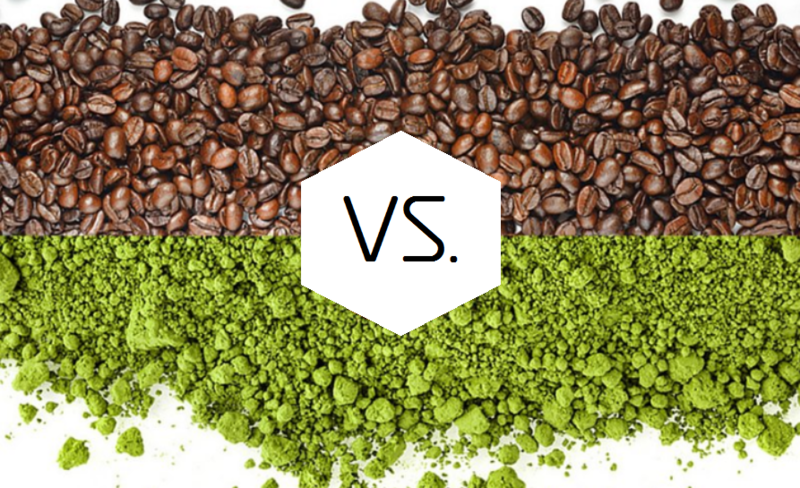 Coffee has proven health benefits, but how does it compare to Matcha (health) benefits? With less marketing muscle and a shorter history in the Western world, matcha may be the underdog in the fight. 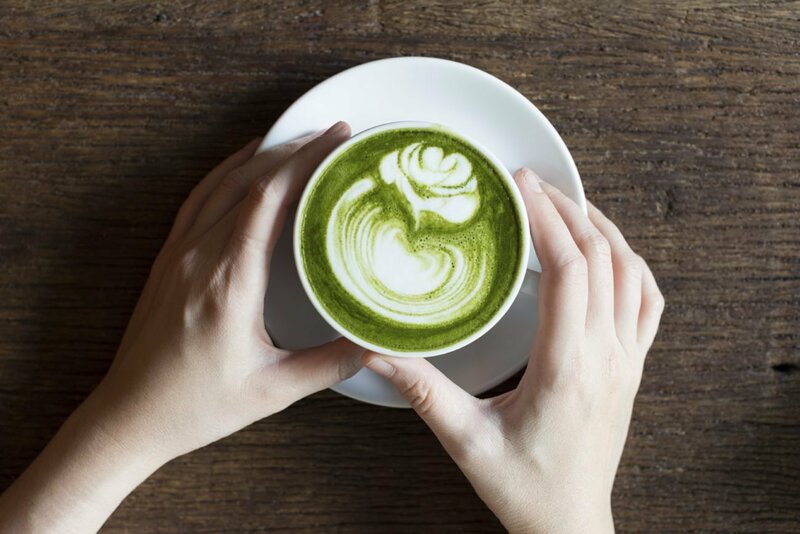 But when you weigh the pros, cons, and nutritional profile, even ardent coffee drinkers will have to admit that matcha makes quite a case to be the next big thing. Coffee is easier to find. Coffee shops seem to be everywhere, making espresso drinks readily accessible. While some coffee shops (incl. 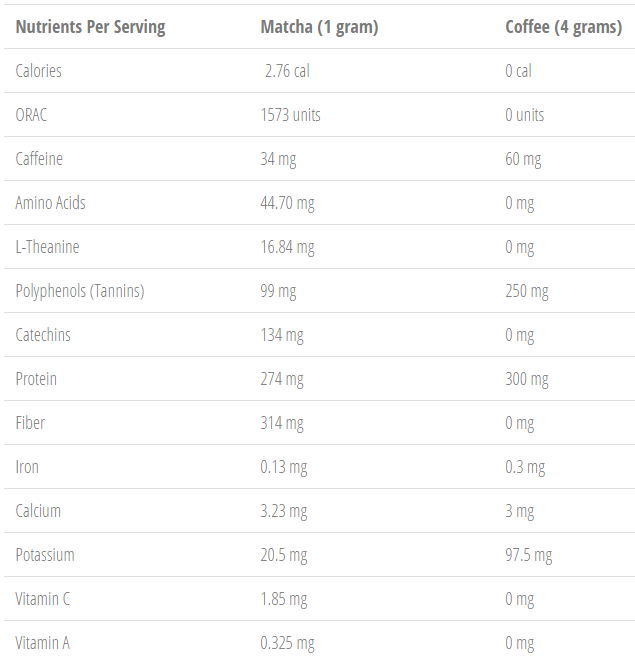 Starbucks) sell beverages made with matcha, it is sometimes harder to find than your average cup of coffee. Coffee can be less expensive. If you’re brewing a cup of standard ground coffee at home, it will often be slightldy cheaper than a cup of premium matcha. But if you are shelling out for a €5 Matcha Latte, the tables are turned and matcha becomes the more economical option. Matcha gives you a fresh breath. No coffee breath. Enough said. Matcha contains L-Theanine, an amino acid that helps your body to process caffeine differently and create a state of calm alertness. 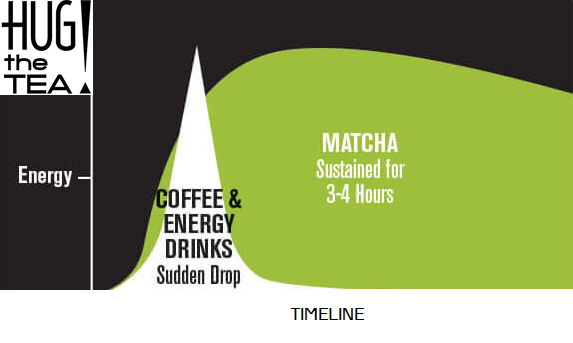 While one serving of matcha has much less caffeine than coffee, it provides a less jittery, more sustained energy boost – with no crash at the end. L-Theanine also improves focus and helps you concentrate. 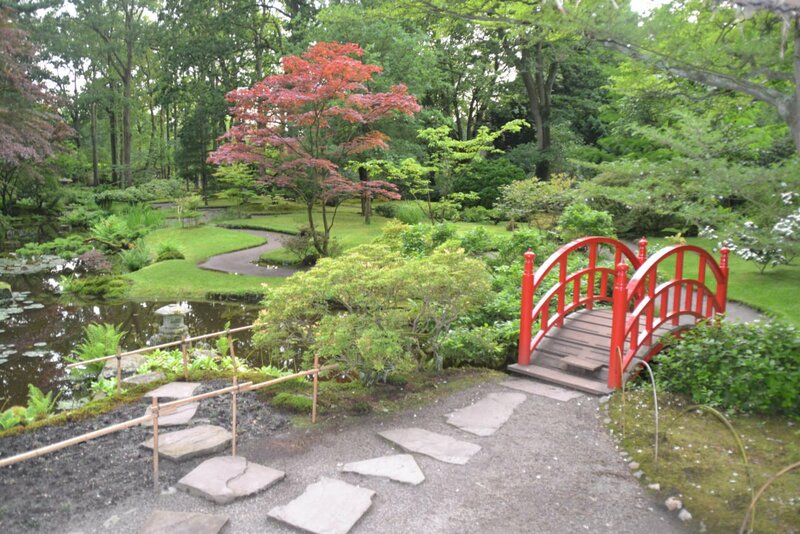 Matcha features much higher levels of antioxidants, which protect against disease and aging. At 1573 ORAC (oxygen radical absorbance capacity) units per serving, it’s one of the very best sources of antioxidants in the world. Matcha helps boost metabolism and burns fat by increasing thermogenesis (up to 40%), the rate at which your body burns calories. 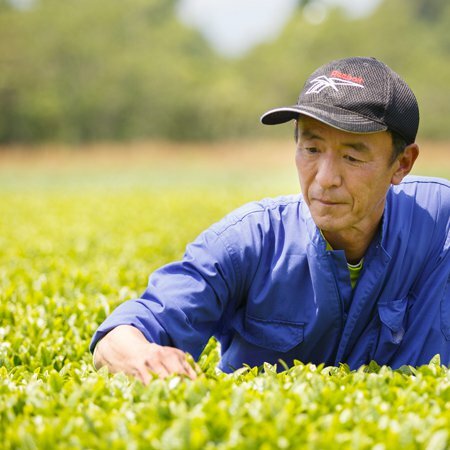 Matcha contains catechins, a unique type of antioxidant with potent cancer-fighting properties. Matcha is easier to make. No fancy French press, steam machine or appliance is required. Matcha provides fiber and nutrients that coffee does not, including chlorophyll, vitamin A and vitamin C.
Are you curious about Matcha?! Try it out! In our teabar or at home. Here you can read more about Matcha or you can order Matcha and accessories directly here! 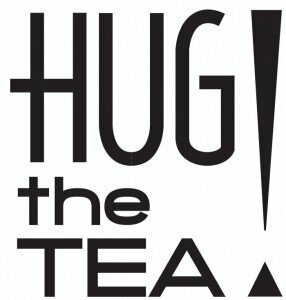 Keep or start hugging our (Matcha) tea!